Meera Jasmine is arguably one of the best actresses of the past couple of generations in Malayalam. The natural approach to her acting is unparalleled and has been truly refreshing all along. Even such a thespian is not only wasted, but sleepwalks through the movie mostly because it is obvious to everyone including us the viewers that she probably did this movie for a paycheck and paycheck alone. Jayaram is by far the worst actor among all the actors with name recognition. The fact that this gentleman still gets movies is a testimony to the cronyism prevalent in the industry. A basic need for any human being is to have the self realization of one's own performance and abilities, irrespective of the field one works in. This man simply lacks that and the poor malayali audience has been suffering for decades. When will he retire and put us all out of misery? The story, screenplay, and whatever message the movie tries to convey had already been conveyed 30 years back and you get a couple of annual installments of it. The storyline though oft-repeated still has relevance in our society, as every generation commits these alleged crimes . But, the way in which the story is being told has to simply change for such movies to pass muster. 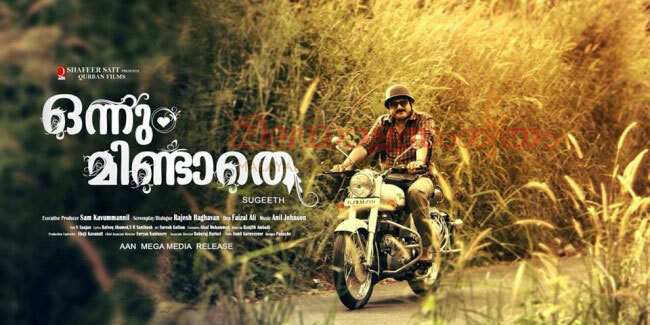 Manoj K Jayan as usual gives 100% to his character, just like he does all the time. There is nothing else worth writing about this movie.